The Marine Corps, more so than any other branch of America's military, values and embraces its history. Beginning in boot camp, every Marine is educated on the Corps' proud and storied past as they learn what it means to be part of such a prestigious organization. 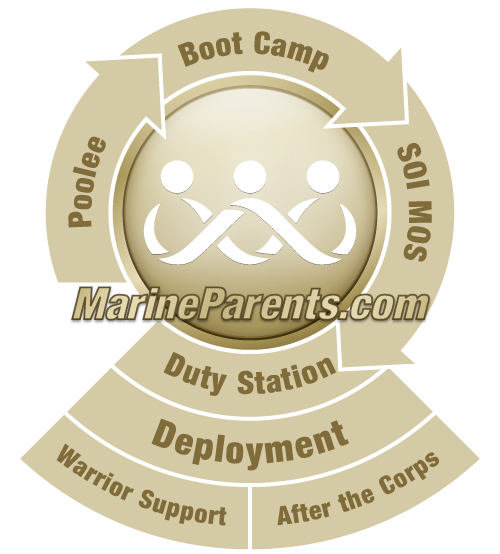 In the spirit of the value the Marine Corps places on its history, we wanted to give you, Marine families and supporters, an opportunity to embrace and learn about this part of Marine Corps legacy as well. In this piece, we would like to take the opportunity to recognize the achievements of a Montford Point Marine, Cpl. Lawrence Diggs. Montford Point Marines were a remarkable group of men who overcame every challenge thrown their way in their quest to become America's first African-American Marines. In 1942 Camp Montford Point was opened and young African American men began filtering through for recruit training to join the United States Marine Corps. Approximately 20,000 African American recruits went through Montford Point from 1942 to 1949. At that time, the Marine Corps was segregated and African American recruits were not allowed to train with white recruits. Although African American recruits trained at a different location than other recruits, their training was just as challenging. Montford Point was the birthplace to some of the toughest and most brave Marines in the history of the Marine Corps. Among these tough Marines was Cpl. Lawrence "Larry" Diggs. Mr. Diggs happens to live near the MarineParents.com corporate office in Columbia, MO and our staff has had the honor of meeting and working with him. Born in Mississippi and raised in Chicago, Diggs was drafted into the military in May 1942 and was one of the first African Americans recruited by the Marine Corps. Diggs was one of nine kids and credits his upbringing with him being able to make it through bootcamp. After finishing basic training, Diggs took part in jungle warfare and special weapons training in Guadalcanal. From there he was assigned to the 7th Ammunition Company attached to the 1st Marine Division and was shipped to the Pacific. Diggs spent time on the majority of the islands in the Pacific but he was based mainly out of Guam. He recalls not only dealing with the Japanese soldiers but also the conditions on the island. Land crabs, living in foxholes, and worst of all, burying the dead. Not only did they have to bury their fellow Marines, but also the enemy, to protect everyone from sickness. Diggs believes that the conditions they were faced with helped with the racial barriers. Each Marine had to have each other's back in order to survive. At Marine Parents we have had the honor of working with Mr. Diggs. Mr. Diggs, now 93, was a guest of honor at the 2014 Columbia, MO airshow. Upon learning he was being honored at the airshow, Mr. Diggs contacted Marine Parents to see if we could assist with the preparations, and of course we said yes! After securing permission for Mr. Diggs to wear a World War II-era USMC uniform, we ordered one for him and our Corporate Secretary brought in her sewing machine, to make a few small alterations so it fit better, and Mr. Diggs had a great time at the airshow. Also, in June 2012 Mr. Diggs was one of 400 Montford Point Marines to receive the Congressional Gold Medal. We were able to make plaque replicas of the certificate he received for that award and present those to Mr. Diggs and his family members. It was truly an honor to be able to assist an American hero! Click here to learn more about Montford Point Marines. Click here to read the recap and watch the video.